Riverside Music Studios strongly believes in a personal approach to every student. As a premier music school in NYC; our program concentrates on individually tailored curricula. Our students range from under 4 years old to 80 plus, and we are happy to work with absolute beginners, intermediate, or advanced musicians. Private music lessons in NYC are available on a variety of instruments at our studio or in your home. 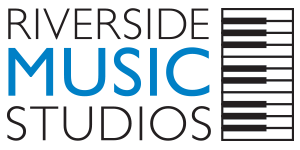 Riverside Music Studios was founded in 2002 by Dr. Dmitry Alexeev, a concert pianist and a prolific educator. We grew from a small, private neighborhood studio offering piano lessons in NYC on the Upper West Side – to a full music school located at Columbus Circle with a faculty of some of the best performers & music teachers in Manhattan. Please don’t hesitate to contact us with any questions about our music lessons in NYC. Call Us At (212) 247-4900 or click the button below to enroll in music lessons today! "I’ve been taking piano lessons at Riverside for almost 5 years now! I can’t say enough about this music studio. I’ve worked with several different teachers during my time there and have been overly impressed with all of them. Although my main focus is piano I expressed my interest in violin and Riverside was able to place me with one of their fantastic violin teachers as well. Whatever your interest is in music Riverside will be able to accommodate! By far one of the best studios in NYC!!!" We have a style for everyone! Classical, Jazz, Pop, and/or Broadway Music styles. Private music lessons in NYC are available for both children and adults. Student recitals are offered at Steinway Hall and the DiMenna Center. All instruments and voice are welcome! Come to us, or we will come to you! Our music lessons in New York City are available both in home and in studio. Our music school is conveniently located in Manhattan at Columbus Circle. READY TO START MUSIC LESSONS IN NYC? We are happy to offer you an introductory lesson! We promise that you will feel very comfortable learning with us. Whether you are interested in piano, violin, guitar, or flute lessons in NYC, we have a great music teacher just waiting for you.